Skeptics love throwing out the objection, "How can you trust a book written by men?" They conclude that Christians must have been indoctrinated into their belief as a child or have just taken a giant leap of faith into the dark by believing the Bible. 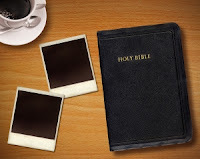 But as you'll see in this 2 minute video below, there are many good reasons for trusting the Bible as a book that is truth.